I was in Paris this week to talk about Surrealism and graphic design. 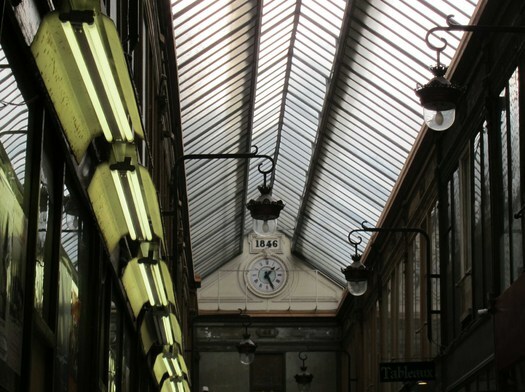 What better way to pass a couple of spare hours before leaving than to pay a return visit to the covered arcades — forerunners of the shopping mall — that were, for the Surrealists, some of the best places in the city to encounter the marvellous? Of course, it can hardly be the same experience today. 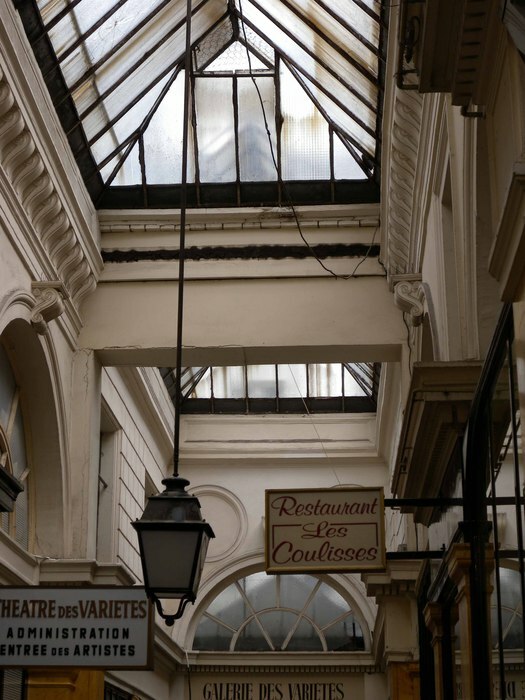 Of the 150 or so arcades (in French, passages) built from the early 1800s only a few survive. A couple, the Galerie Vivienne and Galerie Véro-Dodat, have been gentrified; they are grand but a little sterile unless shopping for luxuries is your thing. My destination this time was the three most atmospheric arcades, the Passage des Panoramas, Passage Jouffroy and Passage Verdeau, which form a path of serendipitous discovery running north to south. You leave one arcade, cross the street and enter the next. 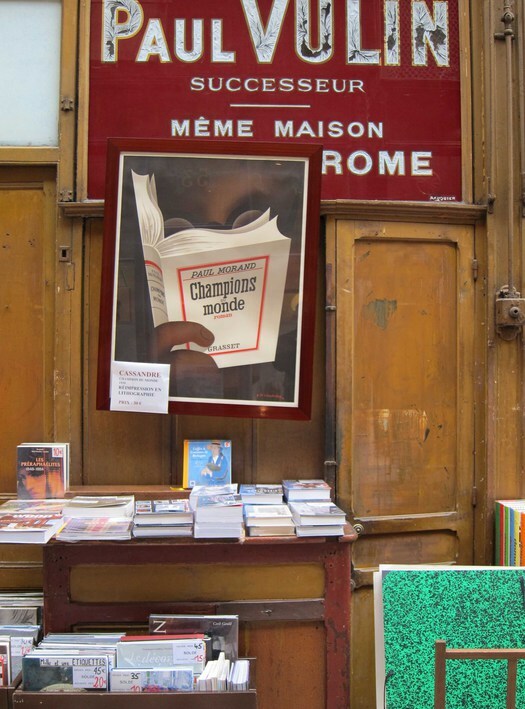 I expected to concentrate on the Passage des Panoramas, the most run down of the three, taking pictures and browsing in an enclave of shops selling postcards, which I had been able to explore only briefly during my last visit in 2009. Perhaps I would chance upon a card with surreal babies. Those postcard dealers had the air of having thrived there for years — the arcade is also famous for philately. At first I thought I must have misremembered their location. 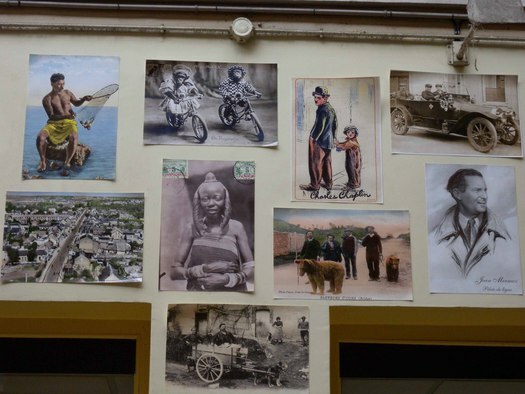 This time around, all but one of the postcard shops had disappeared, including the most impressive, which had peeling postcards of animals, film stars, townscape views and ethnographic scenes stuck to its façade. A trendy looking restaurant is now taking its chances in this far from salubrious corner site. A few doors down, a single elderly customer sat at a table in the remaining postcard shop leafing through the merchandise. It looked like the bottom had fallen out of the postcard business. Abandoning my plan to sift through postcards, I headed for the Passage Jouffroy where I remembered a magnificent old film bookshop, a cineaste’s heaven stashed with film stills, posters, piles of old movie magazines and a treasure trove of rare film books — in French — that would never have made it across the Channel to London. This, too, has disappeared during the past 18 months. A swish new gallery selling photographic prints now occupies the premises. One thing hadn’t changed. 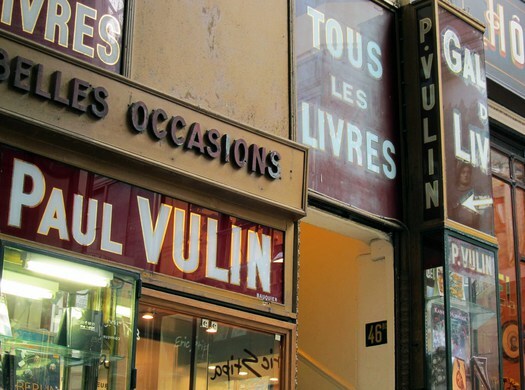 The Librairie Paul Vulin, the most imposing bookshop in this sequence of arcades, still occupies the site across the passageway. The tables of books stretch along the side of the wooden-panelled shopfront almost to the end of the arcade. The previous day I had made an unsuccessful attempt to find a copy of Yves Tanguy and Surrealism, an out-of-print catalogue from 2001 that now commands ridiculous prices online. 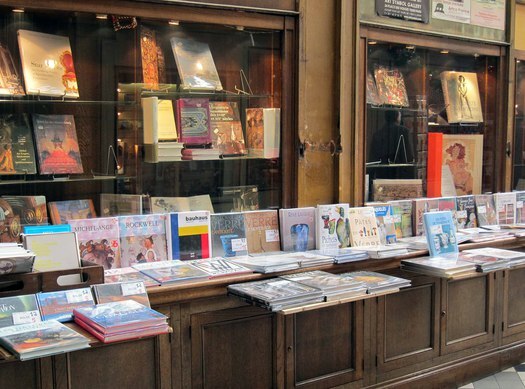 Perhaps the Librairie Paul Vulin — its trading name is Librairie du Passage — would have a copy? I inquired within. 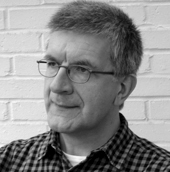 The bookseller led me out of the shop and along the arcade, past the windows and shelves piled with books, until we came to a second, windowless door, which he unlocked. I assumed that we were about to enter another fully operational section of the shop, or a reserve collection only opened up when required. The space turned out to be not a normally proportioned room, but a long, narrow passage, itself a kind of mini-arcade, just a few feet wide. 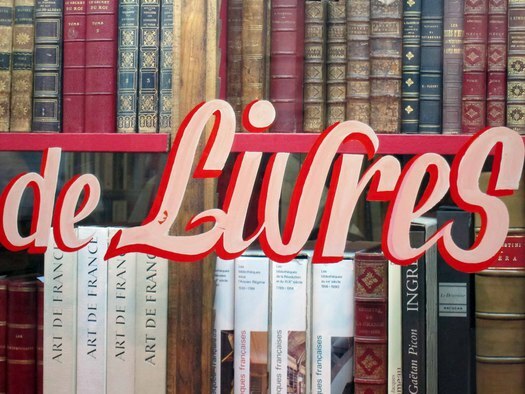 Inside this mysterious hidden gallery, invisible from the public thoroughfare outside, loomed an enormous bank of shelves loaded with art books about every conceivable subject; this wall of wonders ran the entire length of the premises. At the far end of the secret bibliographic sanctum, in the bottommost corner, the bookseller located what he had evidently expected to find there all along — copies of two big hardback monographs about Tanguy, including the volume in English that I was after. The price was a bargain and perhaps that is just as well. The little sequence of events that had led to the volume’s discovery was so perfect that I’m not sure pecuniary sense would have prevailed. good post. the hunt for books is increasingly a lost art.